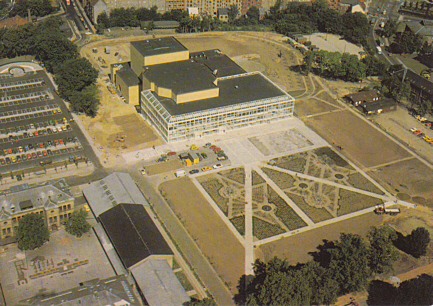 Concert hall, built 1977-1982 by Kjær & Richter. 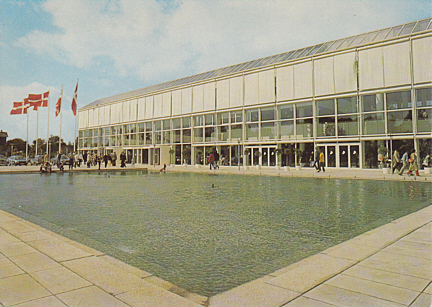 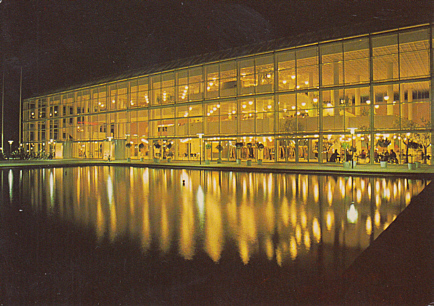 Opened 27 Aug 1982 by Queen Margrethe II. 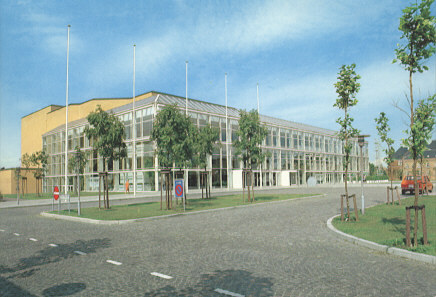 The complex comprises three halls: "Store Sal" (1588 seats), "Lille Sal" (314 seats) and "Børneteatersalen" (150 seats). 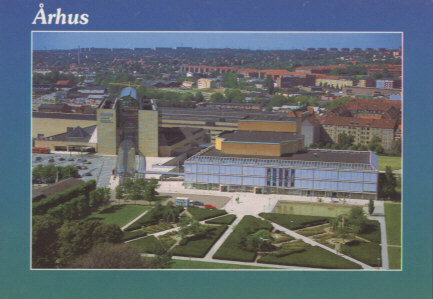 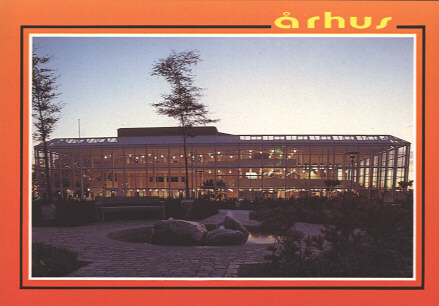 Reverse Text: "Århus, Musikhuset; Århus, The Music Hall; Århus: Die Musikhalle"
Reverse Text: "Århus, Luftfoto af Musikhuset; Århus, Aerial view of the Music Hall; Århus, Luftbild von der Musikhalle"
Reverse Text: "Danmark - Århus - Musikhuset"